Our Permanent Mulch Recycled Rubber Pathway is a mulch look-alike that takes the work out of landscaping. Perma Mulch deters weed growth, but allows air, nutrients and water to pass through. This textured fake mulch walkway blends beautifully with your landscape. You'll love the manicured look it gives your yard. Plus, Permanent Mulch lasts for years, so there's no need to buy, haul, shovel and rake bulk mulch every spring. Recycled tires are shredded and formed into lightweight, long-lasting designs for veggie and flower gardens, landscaping around your home's foundation, specimen shrubs and trees, garden paths and more. It's so easy to use! Just lay it down and roll it out. You can cut it to fit around growing trees, shaped beds and narrow pathways. Unlike bulk mulch, Perma Mulch is scatter-proof and stays put. It won't blow away during fall leaf cleanup, pets (and other creatures) can't kick it up, and it always looks neat and tidy. Permanent Mulch is a practical solution to many yard and garden problems. 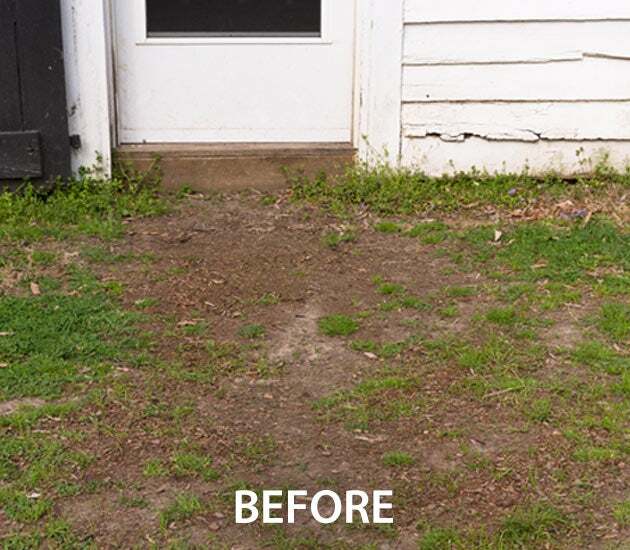 Not only does it stop weeds and reduce yard work, it looks great and is easy to use. 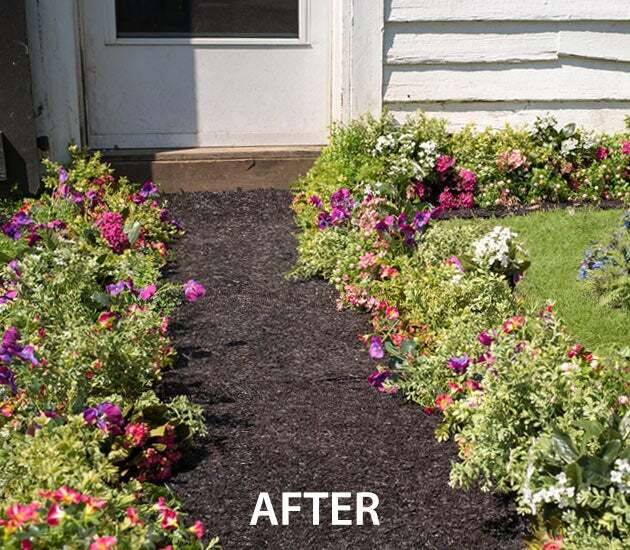 Try our long-lasting, no-maintenance Permanent Mulch today! Under downspouts/spigots to reduce "splash-up"
Our best-selling Permanent Mulch has been a customer favorite since day one. It’s easy to see why – what’s not to love about a recycled product that saves you time, money and hours of backbreaking yard work? So easy to use! Just lay it down and roll it out. You can also cut it to fit anywhere. Roll it out over snow to create a slip-free walkway in winter. It deters weed growth, but allows water, air and nutrients to pass through. Made from recycled tires, Permanent Mulch is a mulch “look-alike” that takes the work out of landscaping. Pre-formed into lightweight, long-lasting designs, it can be used anywhere. Cut it to fit around trees, beds and pathways. Watch our video and learn all about it!